CLOSEOUTS. 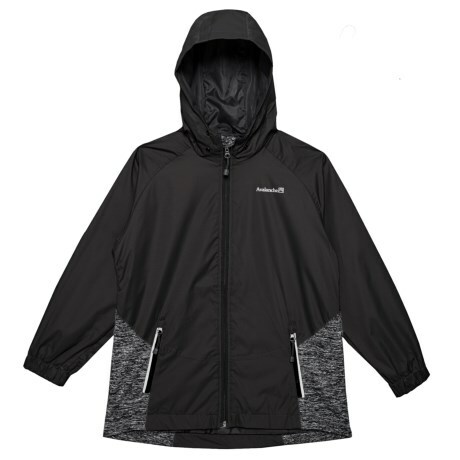 Perfect for cooler days, Avalancheand#39;s Cirro Hybrid hooded jacket is wind and water resistant, and it features stretchy knit panels to give him room to move with ease. Available Colors: BLACK, TORNADO. Sizes: S, M, L, XL.